Prices and sales of shark fin are falling in China by 50-70% according to a report by environmental group WildAid. Around 7% of all sharks are killed every year. This exceeds the average rebound rate for many shark populations, meaning that if things don’t change they are condemned to extinction. Shark products include meat, skin, teeth and oil, but it is the higher market value of shark fins – primarily in China – that has driven the demand for these beautiful animals and their population declines. However things are changing. A campaign in China to raise awareness of the effects of buying shark products has been very successful. 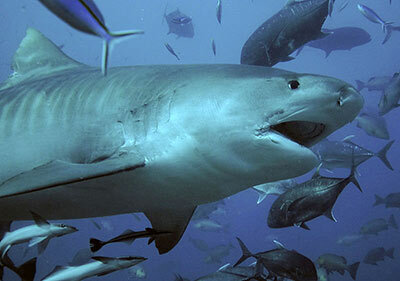 85% of Chinese consumers surveyed online said they gave up shark fin soup within the past 3 years. Two thirds cited awareness campaigns with 28% citing the government banquet ban as a reason. In the Guangzhou markets, assumed to be the new centre of China’s shark fin trade, wholesale traders are now complaining of dwindling sales and falling prices. Retailers who were selling medium-sized shark fins for as much as US$642 per kilogram are now able only to charge half as much. One Guangzhou wholesaler commented that “shark fin is a dying business” and another is quoted saying that “Yao Ming’s commercial impact single-handedly smashed my business,” in reference to WildAid’s ongoing multimedia public awareness campaigns. The sharks most commonly killed for fins are: tiger shark, great hammerhead, scalloped hammerhead, oceanic whitetip, thresher shark, blue shark, shortfin mako shark, bull shark, silky shark, dusky shark and sandbar shark. Although the report is good news for sharks, the shark fin trade continues, both legally and illegally. For example in March 2014, WildAid interviews with Belizean fishermen revealed they continue to get US$75 per pound (approximately US$165 per kilogram) for medium to large shark fin and, comparatively, only US$7 per pound (approximately US$15 per kilogram) for the meat. Evidence of locally protected nurse sharks being targeted for their fins was also noted. In April 2014, the Belizean Fisheries Department arrested two fishermen for the attempted illegal export of 73 dried shark fins and other marine products to Guatemala. So, good news for sharks but still work to be done to save the sharks and their oceans.